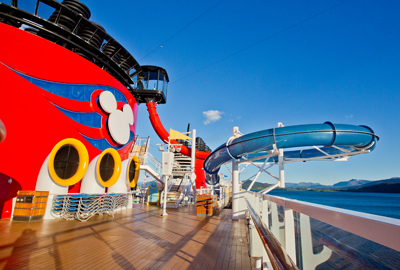 Are you going to book a Disney cruise? Same! It’s actually my constant state of being. I’m always on the lookout for the next itinerary, next gap in my calendar, next good deal, whatever! I’m in. It doesn’t take much. When I am booking, there are always some things I keep in mind, so I’m sharing my list with you. 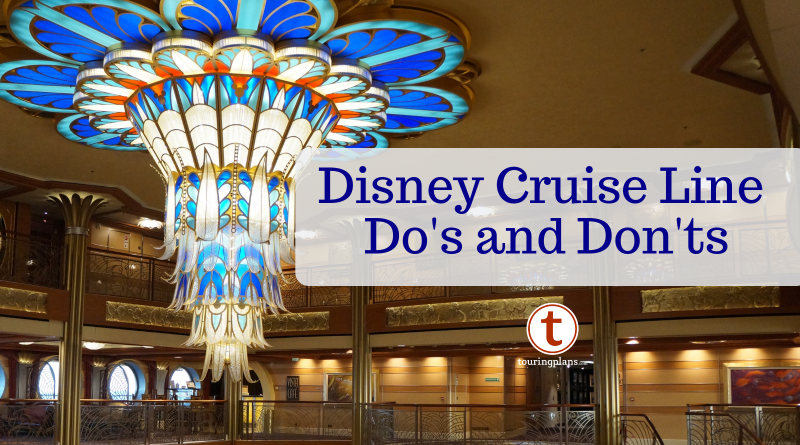 Whether you are booking your first or fifteenth Disney cruise, these do’s and don’ts may help! 1. 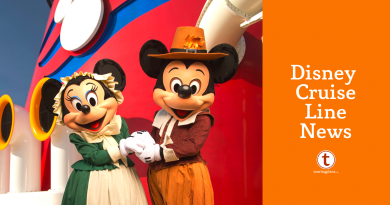 Do Book on Opening Day if Possible – Historically, Disney Cruise prices will never be as low as they are on opening day. Yes, last-minute discounts happen on some sailings, but those discounts are almost never lower than the opening day prices, and they’re often higher. If you think there’s a chance you are going to be able to go, book it. Unless you are booking concierge, that deposit is refundable up until final payment. Even if you are booking concierge, your deposit is non-refundable, but you can move it to another cruise. So book it. Just do it. And if you’re still not sure on opening day, hold it for a few days and think about it. Prices can sky rocket on popular itineraries on opening day, so for the love of Pete, at least hold it if you’re undecided! 2. Don’t Give Up if Your Cruise is Sold Out – Some sailings do sell out quickly. When Hawaii for 2020 was announced, it sold out unbelievably quickly. But for anyone who kept watching, some staterooms opened up here and there, and will probably continue to as we get closer to the sailing. Holds drop, plans change, so keep watching. If you are looking for a particular category or stateroom, same thing. Keep watching. If you’re looking for concierge, DCL will help you out and put you on a waitlist. FYI, I’ve had a lot of good luck with concierge waitlists. They’ve come through more often than not for me! 4. Do Sleep With Friends – Okay, that sounds bad, but this is a pro tip, so let’s walk through this. If you are booking more than one stateroom, how you divide your group into those staterooms during the reservation process may matter. First up, when reserving the stateroom, put the oldest guests in the first and second slots in the room. Ages do not matter for the first and second slot pricing. Ages do matter in the additional slots. Younger children cost (slightly) less than older children. If you have a single traveler, put someone else in their stateroom when making the reservation even if they won’t actually sleep there once the cruise begins. That single traveler is going to pay for double occupancy on that room, so there’s no reason to pay for a third or fourth guest in your room if they would essentially be free in Grandmom’s room! Similarly, if a family of five is traveling with a family of three, and the family of three is agreeable, put a child in with them when making the reservations and get two rooms of four. That will open up more stateroom category options and may also save you money! 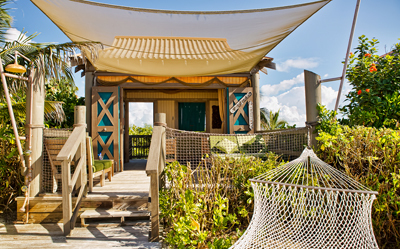 Finally, if you have some friends that have sailed before, you may want to mix them into other staterooms to spread out their Castaway Club benefits. 5. 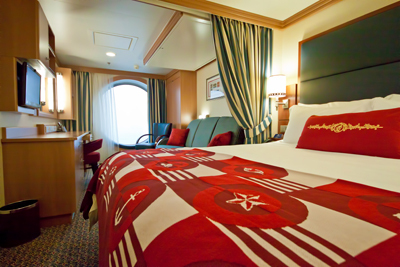 Don’t Book a Stateroom You Won’t be Happy In – While pixie dust upgrades do happen (rarely), and I do highly encourage you to check for discounted upgrades at the port after checking in, don’t book a stateroom you won’t be happy in. If you will be miserable in an inside stateroom, don’t book it. It’s not worth the risk. 6. Do Book Everyone in the Room Who May Go – When you’re booking, book all the kids, all the grandparents, all the friends, whoever may go! You can change the names later if you need. As long as you are outside of the final payment date (and not booking concierge) you can also take people out of a stateroom easily. What you may not be able to do is add someone into a stateroom. Once a category reaches a certain capacity level, you cannot add someone into a stateroom, even if there is a space for them to sleep. Even if there is space to add someone, they’re going to pay the current price for that spot. That means if the sailing price has gone up, they’re paying more than they would have if you had added them when you booked. Nobody wants that. 7. Do Get Insurance – Get the insurance!! The good news is that you may not have to get it at time of booking, or pay for it at time of booking. Pre-existing conditions require you to get insurance quickly after booking, but if you are not worried about pre-existing conditions, then you don’t have to be in a particular hurry. If you decide to get insurance from DCL, you don’t have to pay for it until final payment, and you can add and remove it up until that point. I wrote a blog post on the ins and outs of trip insurance that may help! 8. 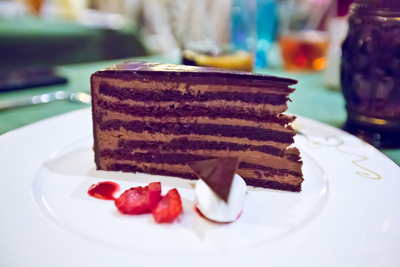 Don’t Give Up on Main Dining – Main dining is important to some people, and I understand that. It generally fills up quickly on a cruise. If you are booking and it’s full, don’t give up! Put yourself on a waitlist. If you get on the waitlist early enough, that usually works. If it doesn’t, try again to get switched once you board (look on your Personal Navigator for where to go once you board to make dining changes). If all else fails, enjoy some things that only late dining offers, like Play and Dine for the kids! Or longer days in ports or in the pool! Or the ability to eat two dinners! And if you really can’t make it until 8:00 p.m. to eat, eat in Cabanas, order room service, eat pizza on the pool deck — there are a lot of options! Food choices are abundant. 9. Do Watch for Last-Minute Discounts – If you didn’t get in on early booking prices, watch for last-minute discounts like military rates, Florida resident rates, or IGT, OGT, and VGT rates. They do happen! They don’t usually happen until after penalty period starts, so if the cruise you are watching is pretty empty, it may be worth it to wait. Florida resident discounts are the one discount that can be applied after final payment date with no cancellation penalty, so if you are hoping for that and will go even if it doesn’t come out, go ahead and book! 10. Do Find a Good Travel Agent – While this last tip seems self serving, it’s true. 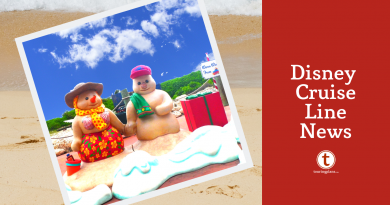 A good travel agent who understands DCL can be your best friend when you’re booking. Good ones already know all these tips, they can help you find the perfect stateroom, they’re in your corner if something goes wrong, they save you time, and some of them will even save you money in the form of onboard credits. Give them a try! Do you have any Do’s and Don’ts to share? Let us hear them! I think this article does a disservice to those that don’t cruise often, and particular to those that haven’t cruised on Disney Cruise Line. It uses terms that are not defined anywhere in the article, and most probably would not be known to new DCL cruisers. For example, most newcomers have no idea what “opening day” is, and therefore, wouldn’t know when the most desirable day to book actually is. Also what is “main dining”? A newcomer would think that if they don’t get “main dining”, they won ‘t be able to eat in the main dining room(s) when I think the author is referring to early vs. late dining time in the main dining rooms. I wanted to point this out to help you communicate better. Hi, I’m new here and this might be a silly question…..but, do you know when they will start accepting bookings for the newest cruise ship coming in 2021? I want to be along the first to book 🙂 Thanks! We don’t know yet! Based on previous years, we can guess when the regular itineraries for certain times of year will be released. The new ships, however, probably will be announced for booking all by themselves, so they are impossible to predict! If I had to guess, I’d expect the first one to be released for booking later this year. We will definitely post here as soon as we know!